I’ve never considered myself to be an athlete. Receiving trophies and medals always felt embarrassing. I played more than one varsity sport in high school and refused to order a letterman jacket. I changed my college plans when I was offered a scholarship to run cross country, but never told my high school’s administration or coaches to avoid being added to the display wall of athletic accomplishments. My relationship with running and fitness has never been about achievement, or accolades. Not that it’s wrong to be motivated to achieve through athletics—but it’s just never how I saw it. For me, it’s always been a fiercely intimate place to allow space, time, and energy for struggles, questions, and ideas to spread out. My most cherished memories from my running career are much less about personal records, and more about crisp autumn runs through Midwest forests and early summer runs before dawn to beat the afternoon heatwave. Some of my favorite runs didn’t even have anything to do with growth or goals, but rather the opportunity to put on a brand new album, find a cadence, and allow the music to drive my movement. 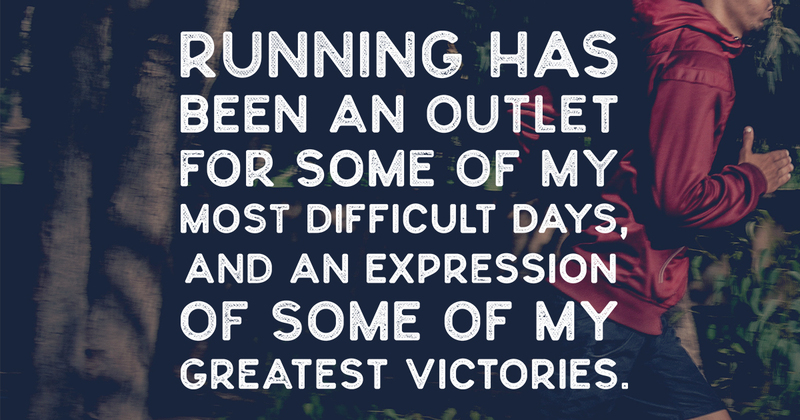 Over the years, running has been an outlet for some of my most difficult days, and an expression of some of my greatest victories. There’s something sacred about picking a direction, and with one step after another putting all of my focus and energy into a single linear goal. Along the way there is real change, hope, and growth that wouldn’t find the space to exist without the intentional time set aside to move. 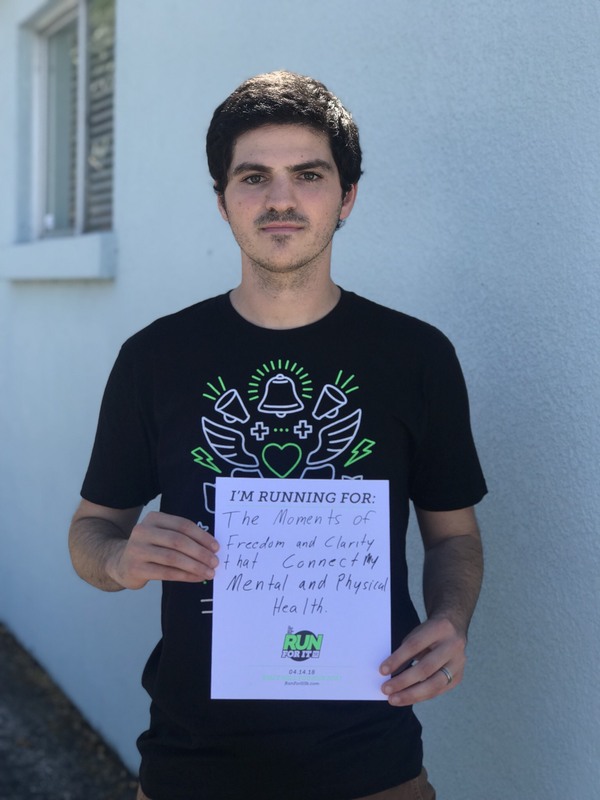 A few years ago my dedication to daily running shapeshifted when I decided to step away from running in school to accept an internship with TWLOHA. Although I continued to run, I found other ways to move through biking, paddling, and skating. As the seasons change, I still continue to chase those same moments of freedom and clarity through exercise. Last year I returned to structured running for the first time since my last season in school when my wife and I set a goal to run a marathon together. The months leading up to the race opened my eyes to just how much mental and physical health are connected. Those early morning runs became practices in mindfulness and self-care. I discovered the space to engage with feelings of stress, anxiety, hope, and reflection. For me, the physical expression along with the internal dialogue felt like a vessel to release some of those restless feelings. The days I had a particularly fast pace usually had less to do with the fitness goal I set, and more to do with a stressful day at work or a difficult conversation with someone close to me. It was a cathartic experience to return to an old hobby and realize just how important regular and consistent exercise is to my mental health. On April 14, TWLOHA will be hosting its 6th Annual Run For It 5k. It’s one of my favorite events of the year. It’s an expression of community that brings together so many seasons of life. 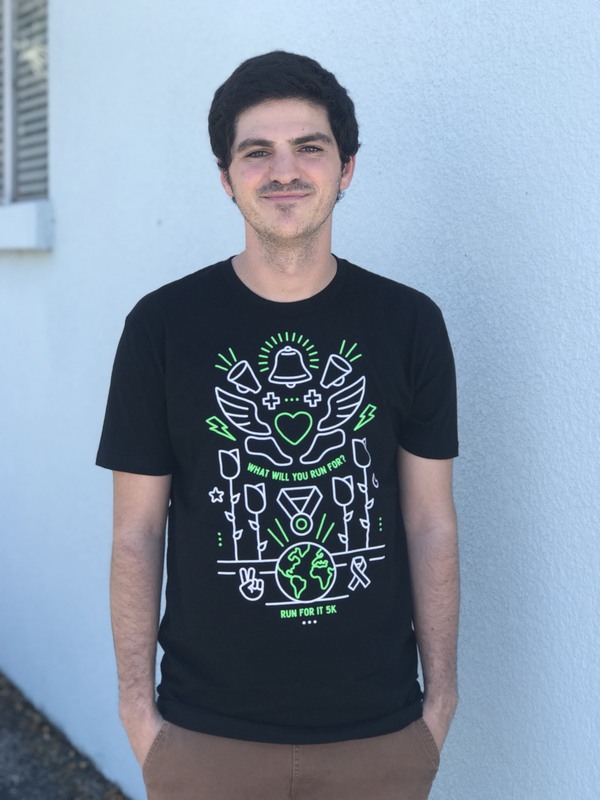 This year’s shirt design reflects my feelings toward running and fitness; it’s a tapestry of symbols representing hope, awareness, recovery, health, strength, fresh air, goals, solidarity, in memory, and community. I’m honored to have the opportunity to witness individuals locally, across the US, and around the world participate. Every person that runs, walks, or volunteers in the run not only laces up their shoes to move for things that matter, they also bring their hearts to the Run For It 5k. I hope you will join us, whether it’s for the sixth or the first time—because beyond the medals and race times, I look forward to learning: What will you run for? Aaron, you are such a good writer! Must get that from your Mama. I have been so proud of you, watching you grow into a man of God who feels, thinks and lives intentionally. I pray this ministry grows and flourishes. There are so many out there who struggle and desperately need the message TWLOHA brings. love you!